Wooden huts, passionate artisans, Christmas lights, enticing smells... Obernai’s Christmas Food and Crafts Market offers an enchanting atmosphere and is the perfect place for a wintry stroll. 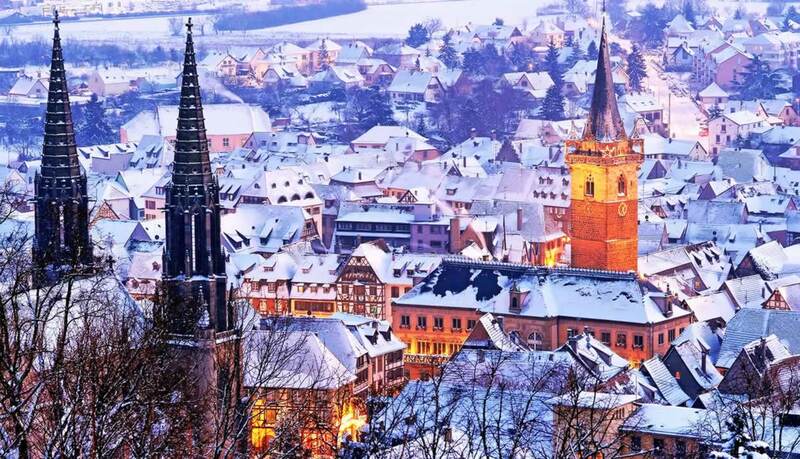 Under the theme of terroir and tradition, Obernai Market contains all the ingredients for a successful Christmas and a fun day out in a magical setting. Aisles are decorated with all manner of artisanal crafts and filled with the smell of mulled Obernois wine, a delicate blend of white wine and spices, prepared in pots by local winemakers. Another star of the stalls are the famous “bredeles”, delicious small Alsatian biscuits!